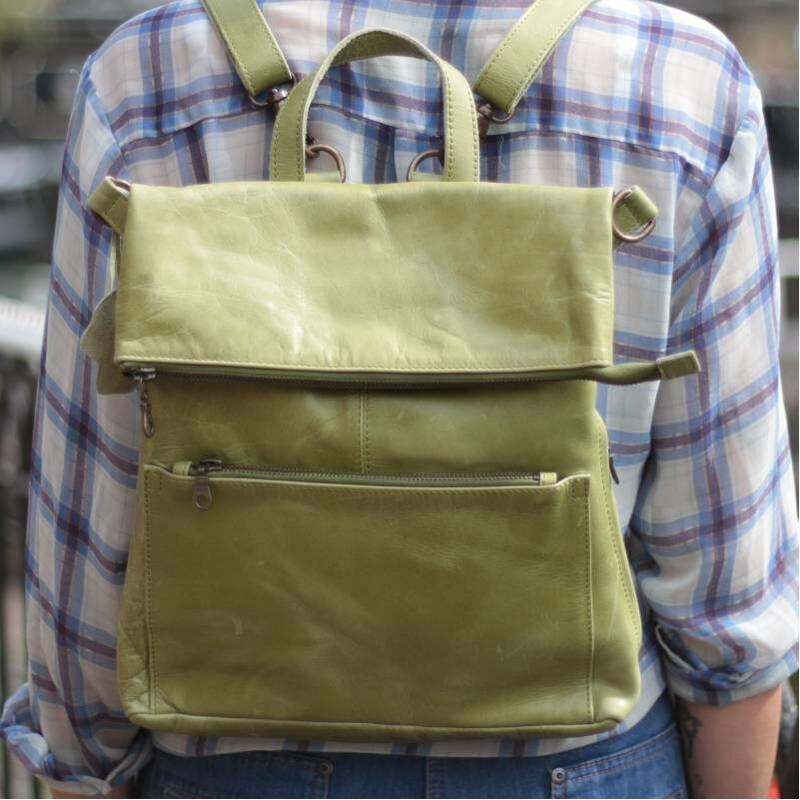 Amelie 4-way rucksack or backpack in apple green leather is convertible to a bag and briefcase. It can be worn on the back, across the body, on the shoulder and in the hand. The back pocket holds the removable ruckstraps and there is a separate side zip for reaching mobile or storing umbrella. This bag has waterproof lining, is real leather and totally adaptable to your needs. There are further pockets under the flap and at the bottom of the bag. This beautiful leather bag measures 31cm and top 28.5cms,the height with the flap up is 42.5cms, flap down 32cms, the base is 7x28cms. The black lining is waterproof and contains a further zip pocket. the internal zip pocket measures 18by16cms.